All online orders during our Spring sales event include FAST & FREE Shipping. 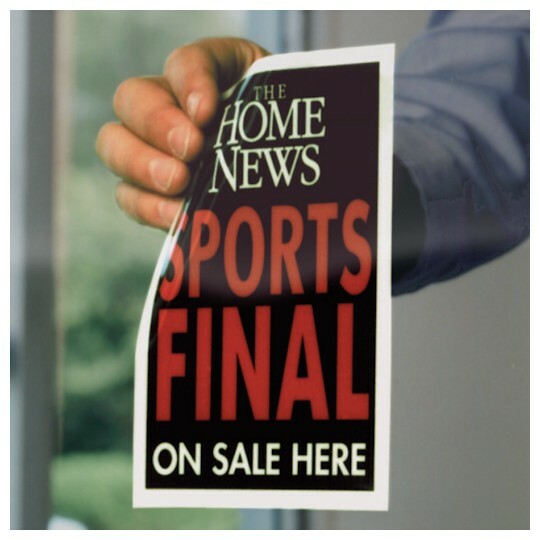 Click here for our sale price on all discounted products. Click here to request a Free Sample of our window clings. For our lowest pricing possible, check to see if one of the stock sizes will work for your next project. deSIGNery stocks more than 60 different shapes and sizes. BBB Member since 2004 with a proven record of complaint free customer satisfaction on items like window clings. Click on the BBB logo above to check our record or leave a customer review. BBB has determined that Designery Sign Company meets Standards of BBB Accreditation, which include a commitment to make a good faith effort to resolve any consumer complaints. BBB Accredited Businesses pay a fee for accreditation review/monitoring and for support of BBB services to the public. 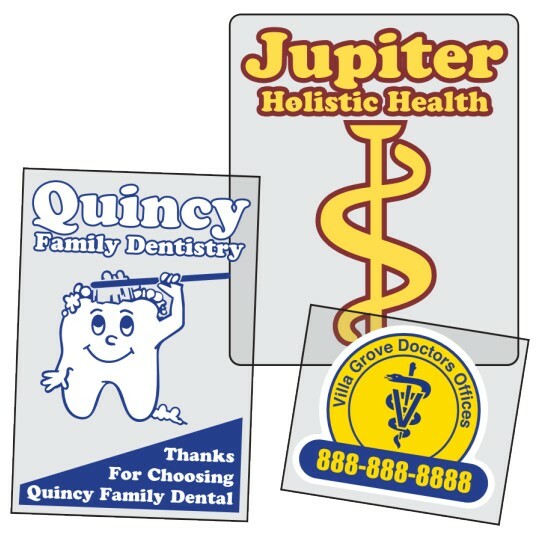 At deSIGNerySigns.com we have more than 24 years experience in designs for window clings. Call us today and let our design specialists help create your next project to promote your product or business. These self clinging products are a great alternative to stickers, labels and decals with permanent adhesives and the perfect product for warnings labels and/or instructions on most smooth plastic, acrylic and glass surfaces. This product is a self-adhering sticker that can be screen printed or printing in full color. There are two different materials used in the manufacturing process. Our most popular material used for window clings is a clear polyester because it can be reverse printed so that the graphics can be read from the static side. Our other popular material is white static vinyl but is limited to back adhesive. If your project calls for a small non-adhesive sticker that is rectangle in shape and has rounded corners, we have 19 stock sizes on sale now. How many times have you purchases a product that had a sticker on it that was almost impossible to remove without scratching the surface? A great example for window clings would be for a window manufacturing company. Here is some of the uses we have done for this industry. "Recognized by J. D. Power for Outstanding Customer Satisfaction with Windows and Patio Doors" "Low-E4 glass with HeatLock® technology" "THIS SIDE OUT" "ENERGY STAR® v. 6.0 certified throughout the U.S." The uses for this removable sticker are unlimited. Cash in today on this once a year Spring sale! All prices for window clings have been slashed.. This sale ends on 5/31/2019 and includes free basic design, email proofs, comprehensive & competitive quotes and suggestions for more cost effective products. All sale items are shipped fast and free. Our design staff can answer your questions and concerns and offer alternative products and send you a free sample or the recommended replacement. Click here to get started and discover the quality and professionalism of the deSIGNery.